One skein of Katia Infinity Shawl makes either of the shawls pictured above. 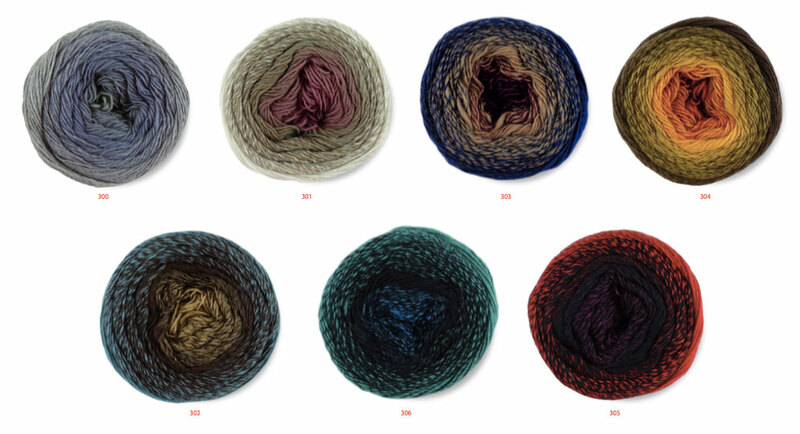 This amazing transitioning yarn is 100% merino wool and knits on a 6 to 7 US needle. A FREE pattern for the shawl shown above is available for download by clicking here.